Before implementing an ERP system, companies typically rely on a "master" spreadsheet to review inventory on hand, what's on backorder and estimated margins. There is little clarity into why certain products are in their warehouse or a breakdown of what is profitable by SKU. The spreadsheet (or sheets) do not provide fill and turn rates of inventory, forecasting, or a detailed margin analysis overall and on the item level. Companies need an inventory management system that can provide real-time access to available inventory, inventory in transit, reorder quantities, and costs. Empower has helped companies achieve huge reductions in on-hand inventory, increase sales on profitable items, improve margins, reduce stock-outs and overall make more money.  To effectively manage the distribution process, maximize profit and satisfy customer demands requires a fully integrated ERP system. Without it, you end with satellites of information and no real-time view of what your inventory levels are, and why. Track costs of goods sold and holding costs across your inventory. Select a different valuation method for each inventory item. Create GL entries directly from inventory transactions. Automatically or manually allocate freight costs on sales orders, shipments and invoices. Inventory can be stored and moved based on a number of parameters such as location-specific inventory quantities, allocations, and costs. Redistribute inventory from a central warehouse to other warehouses automatically upon receipt. There are many ways to evaluate and analyze inventory and your system should offer various methods for each item. Use standard cost, moving average, FIFO, and item-specific methods. Make direct adjustments to cost and physical inventory count using report and inquiry screens. Tracking inventory by lot and/or serial number provides accurate inventory counts. Assign or enter lot/serial numbers on receive, issue, or assembly. Associate item specific valuation methods to serial numbers to track specific costs. Selling products that have expiration dates attached? Expired items can be automatically removed from available inventory and issue the items with the earliest expiration date to minimize losses. Warehouse workers can only fulfill orders quickly when the inventory is mapped out. Specify the types of items and transactions allowed, picking priority, and cost by bin and location. Knowing your turn rate and vendor lead time is crucial to having the stock you need. Lower your overall inventory with system-generated recommendations based on historical sales data analysis. Wholesale Distributors and Manufacturers have complex inventory requirements that can only be solved with modern business software applications. Everything they do revolves around inventory: stocking it, selling it, replenishing it, buying it, moving it, shipping it, logging it, scanning it, analyzing it, and reporting on it. The ramifications of not having a system that can manage as these facets and moving parts can lead to a company closing its doors. If you're one large order away from an inventory nightmare, contact Empower today.